The environment and health of our planet is a hot topic these days. This is especially true with Canada’s federal carbon tax plan coming into effect on January 1st, 2019. In the midst of this discussion, you may have heard about various carbon emission reduction plans including carbon taxes, cap and trade systems, and carbon offset credits. The topics and debates are enough to make your eyes glaze over from information overload. In this article, we wanted to focus on carbon offset credits. These credits are becoming increasingly popular among individuals and businesses, and we have even begun acquiring them for some of our customers at Office Interiors. It remains to be seen what kind of impact offset credits will have on your life over the next few years as we begin to grapple with how best to manage carbon emissions, but you may be surprised at how these could affect your business in the future. As the business community and governments around the world develop climate change plans, you will begin to hear more about carbon offset credits. Simply put, these are credits that represent an offsetting of carbon emissions by an individual or business. Typically, one obtains these credits by investing in projects that help reduce the amount of carbon in our atmosphere. Some companies have been created with the sole purpose of helping individual and organizations purchase carbon offset credits. For example, someone who drives to work daily could purchase credits to offset the emissions from their vehicle. In turn, the money spent on those credits is invested in green projects like tree planting initiatives or renewable energy projects. On a larger scale, not all businesses can adjust their operations quickly and reduce their carbon footprint, so they may choose instead to meet their internal environmental goals by purchasing carbon offsets. With government climate plans coming into place, there may be more of a need for carbon offset credits as businesses seek to meet regulatory guidelines. Now that we have answered, “What are carbon offset credits,” it’s time to look at the benefits of using these credits. The most obvious advantage is the effect the money from purchasing these credits can have on the environment. However, we want to dig a little deeper than that. The most significant advantage, beyond the environmental factor, is its simplicity. Instead of planning significant operational changes, businesses can offset their carbon usage by merely buying credits. With a few quick calculations, businesses can swiftly determine how many credits are needed to make their operation a net zero carbon polluter. There can also be value in carbon offset credits. For instance, in some cap and trade systems, businesses are able to trade or sell them to other businesses that need to offset their carbon usage. In this sense, a company could use those as a form of investment or income. Finally, carbon offset credits incentivize businesses to make positive changes and reduce their carbon footprint. Businesses are always aiming to maximize profits and purchasing offset credits is an additional cost to the bottom line. Therefore, organizations may be more willing to make the right changes, reducing their need to buy credits to meet their emissions goals. Carbon offset credits are far from perfect. For some, these credits can even be viewed as harmful. The most obvious negative aspect of a carbon offset credit is that it does not represent an actual reduction of carbon emissions by the individual or business. Organizations and individuals are still producing carbon emissions, but those emissions are merely offset by investment elsewhere. While this may result in a net zero carbon footprint, it is tough to argue that a tree planting operation in another province or country has reduced the carbon produced by your vehicle. There is also the expense to consider. Small businesses may find it more challenging to acquire these credits than larger businesses with more generous operating budgets. Not only is obtaining credits more difficult on the budget, but small businesses also may also have fewer resources available to make changes that will reduce their carbon footprint. This could make competition more difficult for up-and-coming companies. How Does Office Interiors Use Carbon Offset Credits? One of our core values at Office Interiors is our environment. In the last few years, we have challenged ourselves to find new ways to reduce the environmental impact created by the products we offer our customers. While recycling and waste reduction are vital, at the end of the day the furniture and equipment, we provide still runs on electricity, consumes paper or creates emissions during manufacturing and delivery. We see carbon offset credits as an excellent opportunity reduce the environmental impact of any unavoidable ecological effects we, or our customers, may incur. That is why we have partnered with Canadian carbon offset providers to help our customers to offset their carbon emissions and provide the ability to make your new office furniture or technology purchase a “net zero” acquisition. Want to Learn More About Carbon Offset Credits? Interested in how carbon offset credits could affect your business? 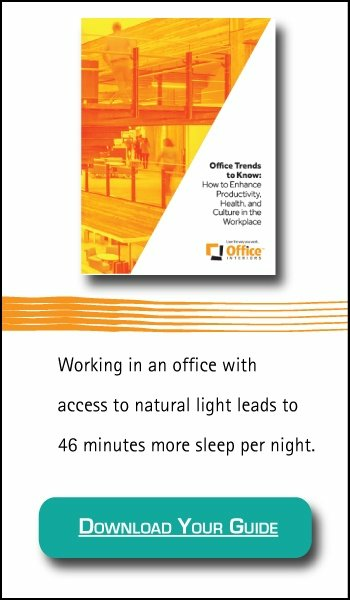 Want to know more about how we use them at Office Interiors? Contact our team today for a more detailed discussion about these credits and how they relate to your business.